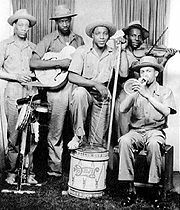 Cannon`s Jug Stompers The history of Gus Cannon, Ashley Thomson and Noah Lewis. Old Time Music Home Page A well organised site full of content. 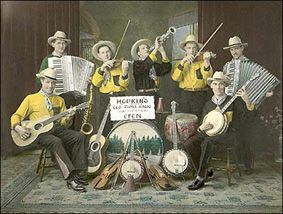 Old Time Music on the Web Some WWW references for Anglo-American traditional `old time` music. Old-Time Music Well organised site with loads of links. Brandywine Friends of Old Time Music Listen to Old Time music on 78`s This site contains 701 recordings of 78 rpm records in Realaudio format. 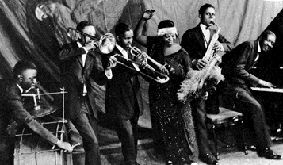 Ragtime Midi Files by Warren Trachtman Scott Joplin, James Scott, Joseph Lamb, Jelly-Roll Morton, Eubie Blake, and others. Train Music History Strange but true this site caters for the blues lover to the genuine Train Spotter. Videos of Trains, Train Guides. Everything about Trains. The Magazine of Folk and World Music Folk Music comprehensive source for folk and acoustic music resources on the World Wide Web. Twangin` Zany but informative site. Vintage Country Music A well presented personal home page with good links.